A bold look, with a mysteriously opalescent presence and a feminine spirit. 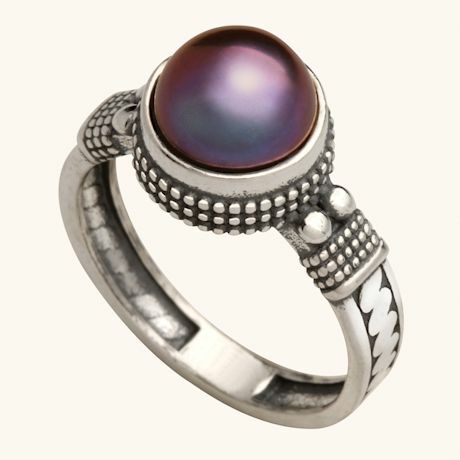 This beautiful pearl ring was designed reflect your unique personality. Sterling ¾" pearl; ring sizes 6-10.